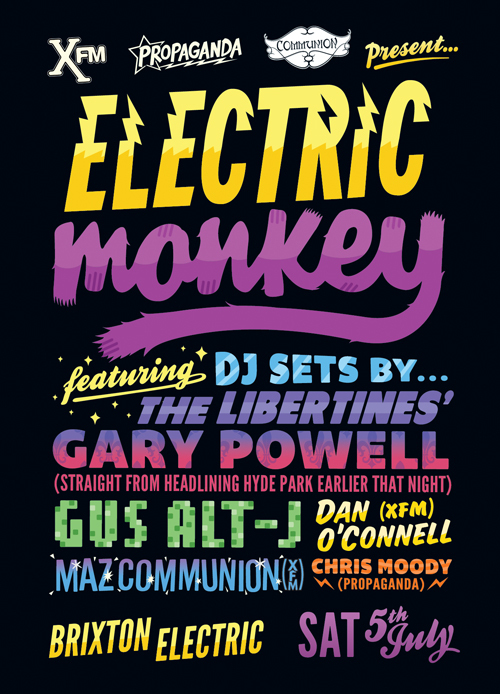 Drummer Gary Powell will be DJing Radio X, Communion and Propaganda's Electric Monkey club night on Saturday 5 July. The DJ slot, which will take place after the band's biggest ever headline show, will be held at the Electric Brixton. Gary will be joined by sets from Alt-J and resident Propaganda, Communion and Radio X DJs. The band, who are due to appear at Hyde Park this Saturday, played two warm-up shows in Glasgow this weekend. They played a huge set, including the hits (Can't Stand Me Now, Time For Heroes, Boys In The Band) album tracks (Vertigo, Campaign Of Hate, Death On The Stairs) and b-sides (The Delaney, Love Is On The Dole). For more information and to buy tickets head to http://electricbrixton.uk.com/ and www.thepropaganda.com. There are still a few tickets left for The Libertines' Hyde Park show.